The Jury outlined the quality of the 334 graduation projects from 118 schools in 99 cities from all over Europe, China and Korea. The YTAA 2018 exhibition is a Collateral Event of the 16th International Architecture Exhibition of La Biennale di Venezia and it will take place at the European Cultural Centre – Palazzo Mora (Strada Nova, 3659), opening on May 24, 2018, at 16:00h. The 12 finalists will be announced at this opening and the 4 Winners will be known on June 28. We invite you to the opening of the exhibition at Palazzo Mora in Venezia and to discover the most prevalent architecture talent at www.ytaaward.com and the profiles of the 40 shortlisted projects’ authors at www.world-architects.com. 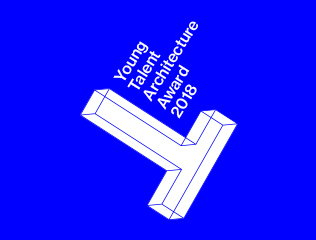 The Young Talent Architecture Award (YTAA) brings together the best graduation projects from European architecture, urban planning and landscape schools. YTAA is organised by the Fundació Mies van der Rohe with the support of Creative Europe as an extension of the European Union Prize for Contemporary Architecture – Mies van der Rohe Award. This year the YTAA prize has merged with the European Medal for the best diploma and is organised in partnership with the European Association for Architectural Education (EAAE) and the Architects’ Council of Europe (ACE-CAE). World Architects is a founding partner; the European Cultural Centre is a partner in Venice; and the award is sponsored by Jung and Jansen; with the support of USM. May 24: announcement of the 12 Finalists. June 28: announcement of the 4 Winners. September 20: Awards ceremony and debate.